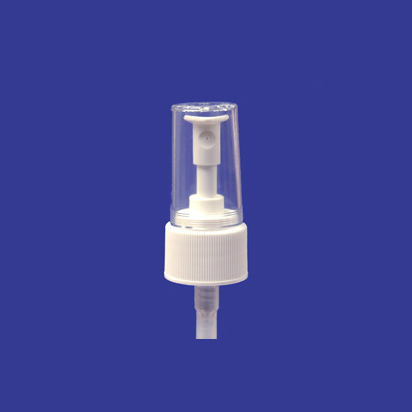 Dewspray regular mist sprayer pumps produce .85 cc per stroke which is as much as 6 times more output of product than a standard fine mist fingertip sprayer does. The Dewspray offers the wettest spray on the market which means that your customer uses up your product faster! Regular mist sprayer pumps have thousands of uses such as: household cleaners, car waxes and polishes, pet care, furniture polish, laundry stain removers, insecticides, window cleaners, food applications and flavorings. 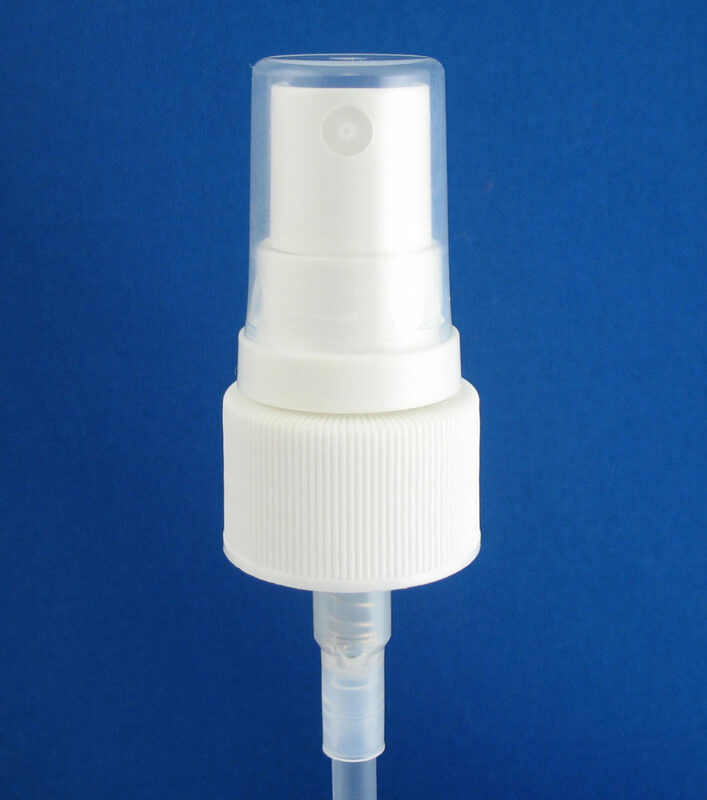 Fingertip sprayer pumps fit a larger variety of bottle necks than trigger sprayer pumps will, allowing you to package your product in bottle sizes as small as 2 ounces! 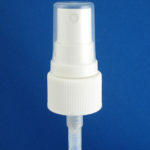 These sprayers are perfect for products on the go and come standard with clear dust caps to protect against accidental spraying or leakage when transporting a filled bottle. These versatile pumps offer much more chemical resistance to product than fine mist sprayers, and, without the cost and bulk of a trigger sprayer. Standard color is white with clear hoods but custom runs can be made in any color. Order a case or a truckload…we are here to help!